The taste of a fresh peach in the summertime is truly an inimitable experience: a sun-warmed, fuzzy exterior yielding to reveal a juicy and subtly sweet flavor. During their peak season (July and August), peaches proliferate in stores and on roadside stands, beckoning us to snack…or better yet, to bake. Did you know August is National Peach Month? 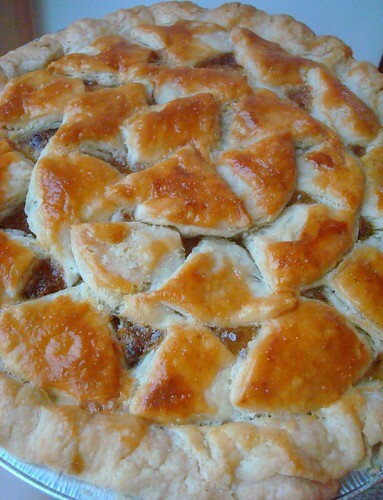 Let’s celebrate with this mouthwatering recipe for juicy, fresh peach pie! Baking peaches allows their unique sweetness to shine. This recipe is made with minimal sugar, instead allowing the naturally sweetness of the ripe fruit. It tastes like concentrated bite of summer, encased in a rich, buttery pie crust. Here's the fantastic and easy recipe I shared on Craftsy!